If you were, say, an automaker and you knew that the airbag inflators you were using were exploding and injuring, even killing, some drivers would you put those same inflators in brand new cars? And sell them? Without telling your customers? Knowing they could over time degrade and injure your customers, and knowing you would have to replace them? http://www.autonews.com/article/20160601/OEM11/160609990/four-automakers-selling-some-vehicles-with-defective-takata-airbags some auto manufacturers’ answers are yes. Toyota, Fiat Chrysler, Volkswagen, and Mitsubishi are still selling new vehicles with the faulty air bag inflators. Technically—technically—the automakers aren’t doing anything illegal since all vehicles with ammonium nitrate inflators without a drying agent need to be recalled by 2018. All of the above mentioned automakers say that they are on track to have the issues resolved—including the new vehicles they sell—by the deadline. But here is my issue. Why would you keep selling your vehicles knowing they are defective and will need to be replaced? The automakers’ logic—which NHTSA also subscribes to—is this: Since the older models are so dangerous we will repair those and then get to the new vehicles sold with defective airbag inflators. Sure, fine. I guess stopping production or not selling those vehicles didn’t occur to anyone? Or perhaps it was too costly. Whatever the case, it’s irresponsible. Remember another company who knew about a defect and sold cars anyway? Who was that? Oh yeah, GM that’s right. I guess as long as the government knows what you’re doing it’s okay. I only say that because I was pretty sure NHTSA mandated that that type of airbag could not be used on vehicles and vehicles with that inflator couldn’t be sold. Maybe I am wrong on that. I am not a social justice warrior. I am not going to advocate for protests or anything like that. I will say just know that Toyota did not disclose which vehicles of theirs have the faulty inflators and neither did Fiat Chrysler. The article does give the Mitsubishi and VW models. My advice? 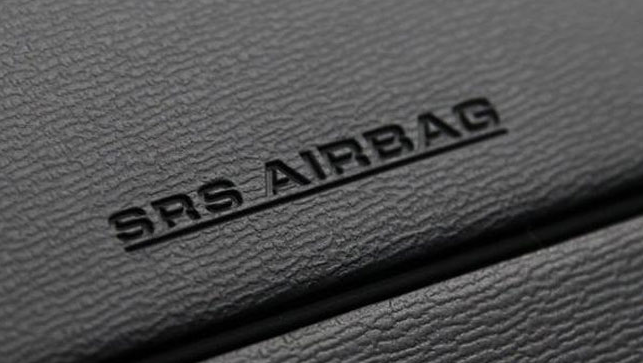 Be cautious when you purchase a vehicle and remember which companies are selling vehicles with defective airbags. The industry might have no problems selling them, and maybe you don’t have a problem buying them, but at least you’ve been forewarned. I have a random autonomous vehicle question. Do autonomous drivers know how to drive off road or in inclement weather? An acquaintance recently went to the mountains for the weekend and the cabin was nearly inaccessible without a four-wheel drive vehicle. Which got me thinking. When a vehicle is going uphill or in a heavy snow, does the self-driving tech know how to navigate mountain roads or is this tech only for flat land urban driving? Also, think about this. Have you ever gone somewhere where Google maps is completely off? Where it says a road should be but isn’t? Again, I point out the mountains where Google maps sometimes tries to take a driver up the side of a mountain where there isn’t even a trail let alone a road. Anyway, what do you folks think about this?